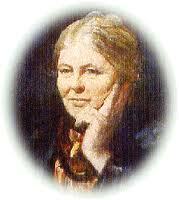 Charlotte Mason was a big thinker who had a very high view of children. So let me start out by saying that I don’t believe anyone could ever fit Charlotte Mason’s ideas, methods and philosophies into an actual nutshell (I just thought it made a good title for this article). Miss Mason’s ideas were so broad and far reaching, it took six large volumes to contain her writings on just the topic of education. With that said, here’s a very brief overview of a handful of Charlotte Mason’s most familiar ideas. In spite of often rainy, inclement weather, Charlotte Mason insisted on going out once-a-week for an official Nature Walk, allowing the children to experience and observe the natural environment firsthand. These excursions should be nature walks, not nature talks. In addition to the weekly Nature Walks, Mason also recommended children spend large quantities of time outside each day, no matter what the weather. Take a daily walk for fun and fresh air. Bring the child into direct contact with the best art. Choose one artist at a time; six paintings per artist; study one painting per week (maybe 15 minutes per week). Allow the child to look at the work of art intently for a period of time (maybe five minutes). Have him take in every detail. Then take the picture away and have him narrate (tell back) what he’s seen in the picture. Excellent prints can be viewed and purchased from the National Gallery of Art. There’s great value in keeping a personal journal, encouraging reflection and descriptive writing. Record activities, thoughts and feelings, favorite sayings, personal mottoes, favorite poems, etc. Daily copywork provides on-going practice for handwriting, spelling, grammar, etc. Keep a notebook specifically for copying noteworthy poems, prose, quotes, etc. Each day choose a paragraph, or sentence, or page (depending on the age of child). Have the child practice writing it perfectly during his copywork time. Have them look carefully at all punctuation, capital letters, etc. When the child knows the passage well, dictate the passage to the child for him to recreate the passage. A Book of the Centuries is a glorified homemade timeline; usually a notebook containing one or two pages per century. As children learn historical facts, they make notes in their book on the appropriate century’s page about famous people, important events, inventions, wars, battles, etc. Charlotte Mason’s schools finished daily academics in the morning, allowing the afternoon hours for free time to pursue crafts and other leisure activities or areas of personal interest. ABOUT THE AUTHOR: Deborah Taylor-Hough is a long-time homeschooling mother of three (now adult) children as well as a freelance writer and the author of the popular Frozen Assets cookbook series, Frugal Living for Dummies, and A Simple Choice: A Practical Guide to Saving Your Time, Money and Sanity. Visit Debi at A Frugal, Simple Life.